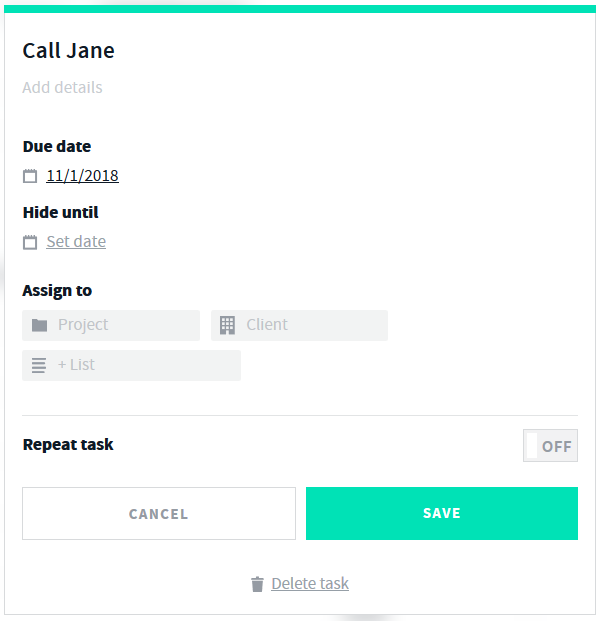 How Can I Assign A Task To A Project, Client Or List? In the assign task field add in the client, list or project you wish to link the particular task with. 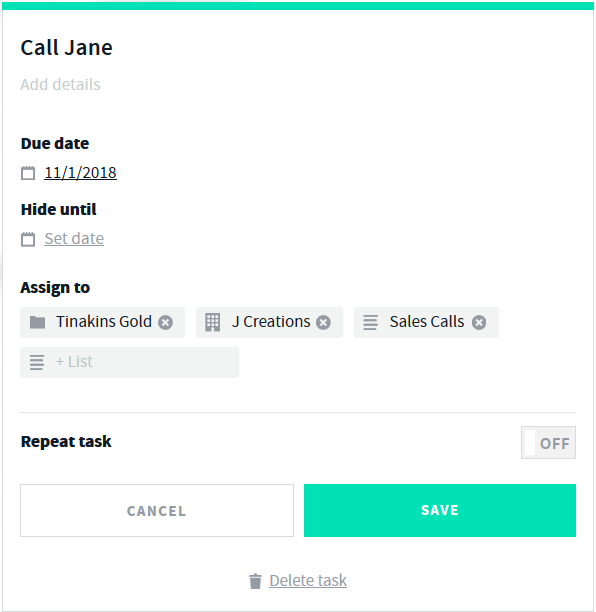 I can also view my task via my client by selecting the Clients tab > select your Client and you will be able to view open Tasks as well as add tasks. Tasks can be created via your "Projects" tab > select the project > add task.